Field Hockey senior forward Emily McNamara concluded a standout tenure with the Rams this season prior to her December graduation, racking up 75 goals in 74 games while tallying 422 shots and 177 points. McNamara is the nation’s leading scorer this season with 27 goals. 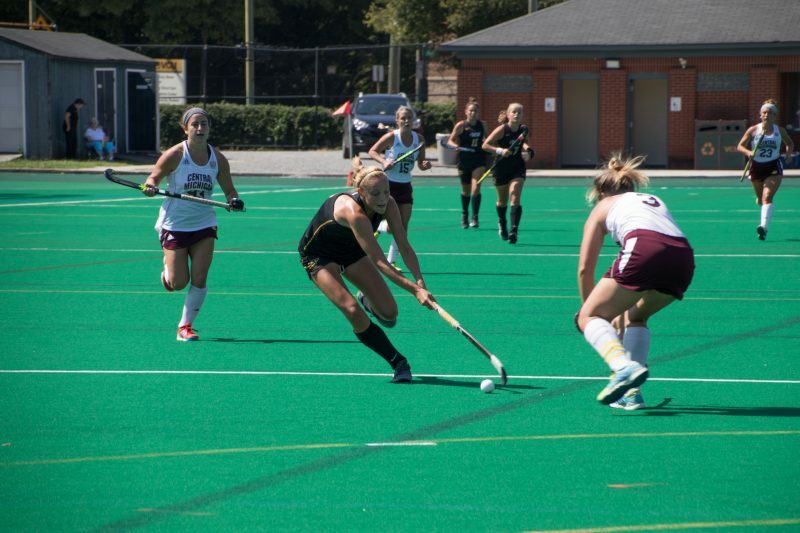 Field Hockey’s season ended Nov. 3 with a 1-0 loss to Saint Joseph’s in the Atlantic 10 Championship game. McNamara became VCU’s all-time leading scorer in the 2018 season. That role expanded gradually over the years until the forward was one of the team’s leading threats on the field. In 2018, McNamara started all 19 games for the Rams. She had 109 shots over the course of the schedule, 69 on goal, while averaging a .248 shooting percentage. McNamara said the team really came together before the season and that carried over into the performance throughout the campaign. That chemistry shined through with the team’s 12-6 record. 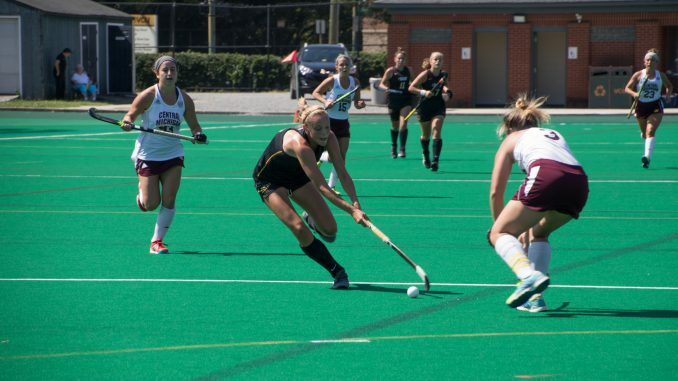 Field Hockey went through evolutions over the course of McNamara’s career — including a coaching change — but numerous players have stepped up to round out the roster. McNamara says she met one of her best friends through the team, sophomore midfielder Maite Sturm, who hails from Waltrop, Germany. McNamara, a broadcast journalism major, hopes to stay in the sports world after graduating. Having been involved or connected with sports in one way or another her entire life, McNamara is an avid baseball and basketball fan. She aims to pursue a career in the athletic world, whether in front of or behind the camera, online or even in a coaching role. With only four seniors and one graduate student on the team, McNamara stressed the importance of supporting each other and relying on one another during the ups and downs of the season. “None of us would be here if it wasn’t for each other,” she said. McNamara also elaborated on the team’s peaks and valleys throughout the season, emphasizing how crucial each game is and the importance of mental preparation. The win over UMass in the A-10 Tournament semifinal on Friday proved her point, as the Rams improved to 8-1 in conference play, including postseason. McNamara reflected on what the sport has meant to her during her time at VCU, both as motivation for and a getaway from everyday life. The forward also hopes to leave a lasting legacy as a role model and inspiration.